Accurate clinical trials depend upon a wide and diverse population for accurate results. If one particular ethnic group participates, the results may be skewed and highly inaccurate. 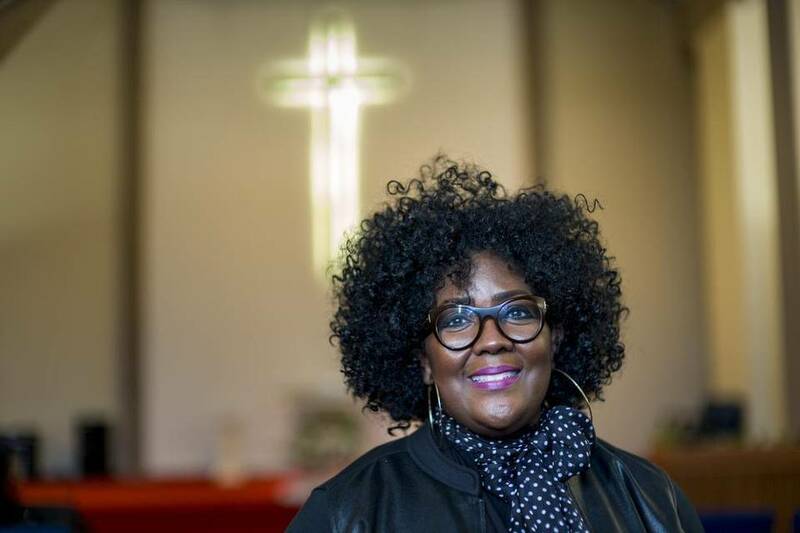 Tammie Denyse, a breast cancer survivor, entered a clinical trial years ago, partly to ensure more participation by black women. She is a part-time youth pastor at Cho Un Korean United Methodist Church in Orangevale. Getting diagnosed with cancer was “horrific” enough. But discovering that very few African American women like herself were enrolled in clinical trials to find a cure? That was almost as distressing for Tammie Denyse, a longtime breast cancer survivor in Sacramento. After her Sutter Health oncologist offered her a slot in a clinical trial to test a new breast cancer drug treatment, the youth pastor carefully checked the study’s protocols for potential side effects. Then promptly signed up. The lack of participation amongst Latino's, African-American and others may be due to a lack of knowledge about what clinical trials are? Providers also may inadvertently or otherwise fail to educate their patients about clinical trials. The answer may be to educate providers to teach this group about trials. Public health announcement need to be targetted to those groups as well. Last month, the California Medical Association Foundation and its ethnic doctor groups launched a statewide campaign to encourage more participation by diverse patients. The campaign features posters in doctors’ offices and short videos for patients that discuss the value of clinical trials. “We’re hoping to start conversations with their physicians,” said Dr. Margaret Juarez, an obstetrician-gynecologist in the San Gabriel Valley who chairs the Network of Ethnic Physician Organizations representing more than 25 ethnic doctor groups statewide. Denyse, however, is not the norm. According to federal data, participants in U.S. clinical trials have historically been overwhelmingly white and predominantly male. 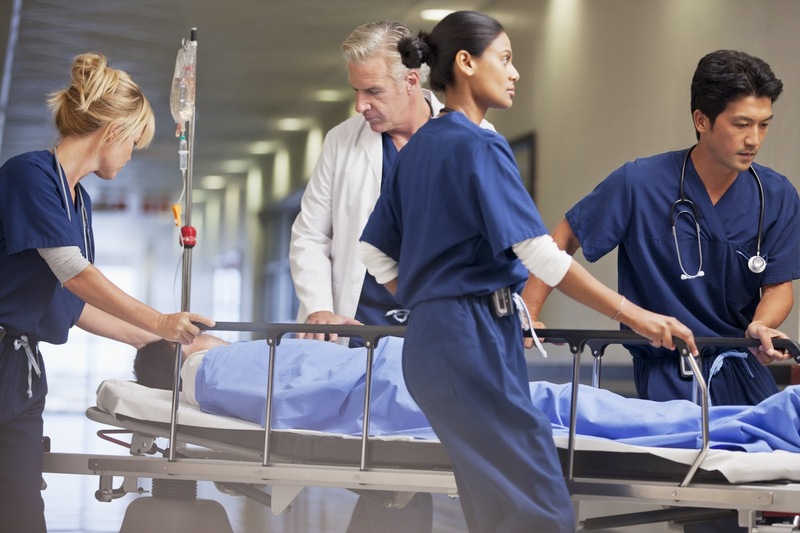 One of the biggest drivers in hospital spending is the rising number of “superusers,” patients who visit the emergency room or are admitted to a general acute care hospital several times a year. But an Illinois hospital noticed that many of its most frequent users were chronically homeless patients, who didn’t always come for medical care. In many cases they just needed a warm place to stay on a cold night. To better help care for these patients—and cut costs—the University of Illinois Hospital (UI-Hospital) and Health Sciences System launched a housing initiative in 2015 to provide furnished apartments and support services for homeless patients. Prior to the program, seven of the top 10 users of the organization’s ER were chronically homeless and accessed the system between 30 and 120 times a year. The organization’s $250,000 investment in the program has led to impressive results, reported AHA News. So far, the monthly hospital visits have declined by 35% and the annual cost of care for these patients dropped more than 40%. In addition to housing, patients are assigned a case manager who coordinates their care and helps them manage money. “We see funding housing as a way of improving health," Avijit Ghosh, M.D., CEO of the UI Health Hospital & Clinics, said on the hospital website. "Actions like this are important to address the problems facing our community. By helping those who rely on UI Health, we're improving the health of both the individuals and our community overall." Peter Toepfer, associate vice president of housing for the Center for Housing and Health in Chicago, which partners with the hospital, told AHA News that hospitals and health systems must view patients who are chronically homeless the same way they consider chronic illnesses. The best prescription, he said, is providing a homeless patient with permanent supportive housing. Solutions such as this stem from innovators who think out of the box, merging hospital care with public health issues and other socially demanding problems. What would work in your community ? Our health system is broken ! Another situation that defies common sense in a state that is underserved. Read the story about a medical student who wants to practice primary care and psychiatry, who cannot find a suitable residency in California. California and its public education system is the only home I’ve ever known. I’m a proud alumnus of UC Berkeley and soon-to-be alumnus of the UC Davis School of Medicine. I understand my state’s needs and want more than anything to serve urban California communities as a dually trained internist and psychiatrist. In order to realize my dream, I need to match into a residency program, otherwise known as a graduate medical education program. There is currently only one dual-training residency program in our entire state. Because of that, there is a very real possibility I will have to leave California, the only place I want to live and work, to continue my medical training. This lack of graduate medical education training positions, especially in primary-care specialties like the one I wish to match into, is problematic in many ways. First, it deprives our state of its physician workforce, as doctors are more likely to permanently live and work within 80 miles of where they receive GME training. It also perpetuates an existing health care access crisis and physician shortage that exists throughout our state. California ranks 32nd in access to doctors compared to our neighboring states. Nearly 40 percent of our state’s counties fall below what is considered a minimum physician-to-population ratio to allow those seeking medical care to be able to do so in a timely manner. To compound this issue, most GME programs are funded by federal Medicare dollars, which haven’t increased in nearly 20 years to keep pace with an increasing population and demand for doctors. The lack of coordination of health care at the state level and federal level defies understanding when Obamacare increased the patient load abruptly. Why was an increase in graduate medical funding included ? Additionally, it’s projected that California needs 8,423 new primary-care doctors by 2030 to meet our population’s need for care services, and we don’t have nearly enough graduate medical education programs to meet that need. To help ensure that California patients can see a doctor promptly when they need one, our Legislature passed a budget in 2016 that committed to investing $100 million over three years ($33 million each year) to fund the Song-Brown Program, an existing grant program housed within the Office of Statewide Health Planning and Development that supports primary-care residency programs in medically underserved areas. However, Gov. Jerry Brown’s current budget proposal eliminates $33.4 million in health care workforce funding and redirects $50 million in tobacco tax revenues (Proposition 56) that was intended to go to GME programs. It’s disappointing that Gov. Brown dropped his commitment to open more GME programs to keep more highly qualified California medical students in our state. Anyone concerned with the future of our state’s health should contact their state representatives and Brown’s office. Tell them to stop raiding tobacco tax revenues and invest those funds toward the Song-Brown program and other means of expanding GME programs in California. The future of my profession and the health of our state depend on it. — Trevor Cline is a student at the UC Davis School of Medicine. He is a dedicated health policy advocate and a medical student leader in the California Medical Association Medical Student Section. Has Obamacare reduced medical bankruptcy? It may still be too early to determine this. Although medical providers, hospitals, and some physicians report delinquency to credit bureaus, it is up to the collection agency to take further legal actions. These include obtaining a legal judgment, followed by garnishment of wages, or liens, seizure of bank accounts and other avenues to paralyze a family's finances and emotional health. Americans are losing sleep over the cost of health care more than other money worries, according to a new national poll by CreditCards.com. Health care tops all worries. Of the five times CreditCards.com has done this money worries poll since 2007, this is the first time health care has been the greatest producer of insomnia. Saving for retirement still worrisome: Thirty-seven percent said they lie awake at night worrying about saving for retirement, down from 39 percent in 2016. Nearly half of Gen-Xers said they occasionally lose sleep over retirement savings. Student loans robs shut-eye. Many more Americans are losing sleep over their ability to pay educational expenses – from 30 percent in 2016 to 34 percent this year. Younger millennials (ages 18-26) are more sleep deprived over student loans than any other group. Mortgage and rent woes stay constant: Worry over making the monthly mortgage or rent payment keeps about 1 in 4 Americans up at night, about the same percentage as every poll since 2009.
Credit card debt? We mostly sleep through it. Paying off credit card debt (22 percent) keeps people up at night the least of any money worry. It has remained a relatively small concern since the Great Recession despite ballooning card balances and rising interest rates. 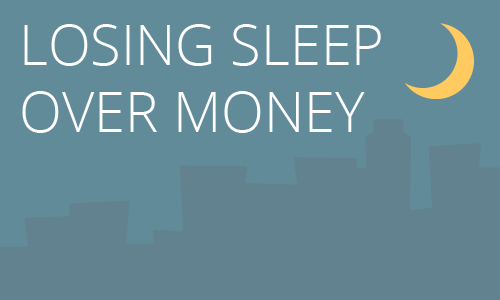 Spending less is key to a good night’s sleep. For this year’s survey, we asked a new question: What are you doing about your worries? 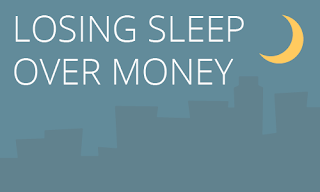 Of those losing sleep, nearly 2 in 3 (64 percent) said they reduced their expenses to improve their financial situation in the past 12 months. The scientific poll of 1,000 consumers was conducted April 6-9 via landline and cellphone. See survey methodology. Retirement savings and other worriesFor 37 percent of consumers, thinking about saving for retirement prepares you for sleep about as well as an espresso shot and a bucket of cold water in your face. But that number is 2 percent lower than it was in 2016, and this is the first time in our survey’s history that saving for retirement isn’t the biggest financial stressor. However, people are growing increasingly concerned about paying off student loans. Thirty-four percent said they lose sleep over paying their educational expenses (or someone else’s), up from 30 percent in 2016 and 27 percent in 2009. It’s no surprise given the swelling debt load facing today’s college students and graduates. Outstanding student loan balances reached $1.4 trillion in December, according to the Federal Reserve. Illness is rarely a choice, and no one elects to be hospitalized (except for elective surgery). This fact should motivate consumers to practice health and wellness which has been proven to reduce chronic illness. This topic goes beyond this article. Do not buy the house you can afford (typical mortgage companies will only finance up to 30 % of income...buy less home. Transportation: Walk more, or bicycle to work. Consider living near where you work and shop. Do you really need that Tesla ? Mercedes? BMW, Lexus, or SUV? Other options are to not own an automobile. Uber it ! Rent a car for longer trips. This . totally eliminates expenses for maintenance, fuel, etc. Vacations: Do you really have to travel to Bora Bora, or the Galapagos ? Food: Eating out has become insanely expensive (and probably unhealthy) . Become a vegetarian. Meat and fish as a source of protein has become prohibitive for many. There are vegetable source for a high protein intake. In retirement I have become a spendthrift. I am one of you who could not save for retirement due to medical costs, premature disability due to cardiac disease a son with cystic fibrosis, and severe cuts in reimbursements for physicians. I have no shame and neither should any of you who find yourself backed into a corner. For many it is a no-win situation. But even if we were all at ease with our health care system, the fear of a costly medical emergency would persist for many consumers. 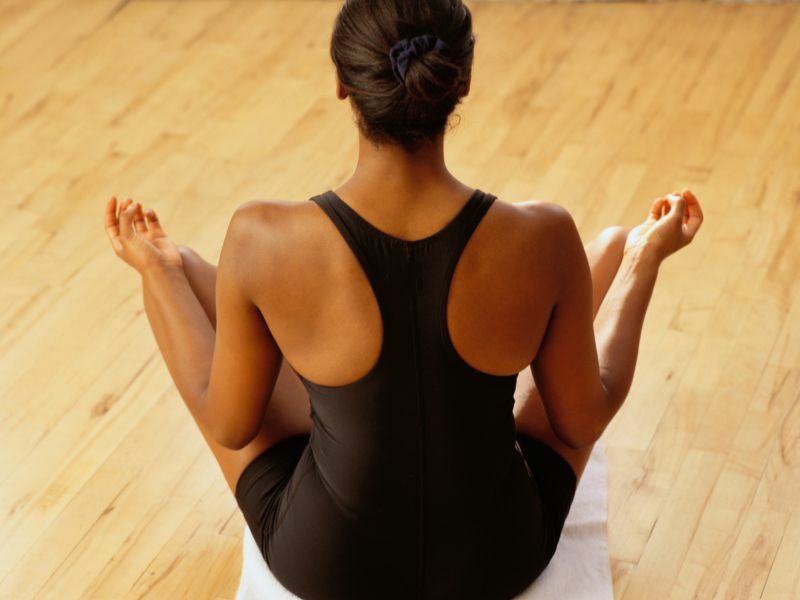 A recent study using mindfulness and/or meditation finds it is ineffective in reducing back pain in the long run. The results were published online April 24 in the Annals of Internal Medicine. Mindfulness was found to help pain symptoms in the short term, but not in the long-term -- though researchers note it may work better for some than for others. Although short-term improvements were reported, "no clinical significance" was found in terms of overall pain or disability when mindfulness was compared to standard treatment, said study lead author Dennis Anheyer. Anheyer is a psychology research fellow in the faculty of medicine at the University of Duisburg-Essen in Germany. Some patients were offered standard back pain treatment, such as physical therapy and exercise routines that aim to strengthen the back and abdominal muscles; prescription and over-the-counter pain medications; ice packs and heat packs; and spinal manipulation and/or massage (chiropractic care). In some cases, surgery is recommended for chronic back pain.The seven studies that were reviewed involved close to 900 patients who had lower back pain for at least three months. Six of the studies were conducted in the United States; the seventh in Iran. Caveat: Pain is a subjective symptom, rated on the patient's perception on a scale of 1-10, with 1 being barely noticeable up to 10... the worst pain and unmanageable causing disruption in activities. Ask your Physician How he is feeling? A new public health problem has reared it's head. A study recently revealed that 40% of physicians describe themselves as "burned out". The government insurance programs, health insurers do not care. Their goal is to extract the most from health providers for the least cost. Change is constant and never ending. A literal explosion of programs, MACRA, MIPS, SGR, ACO, and APMs, using HEDIS and STAR ratings to determine if your physician will be penalized for non-compliance. Some physicians are now actively aware of the burnout issues, and have formed pro-active groups to reduce physician burnout. Despite reduced reimbursements to physicians health insurance companies continue to make a profit. If their profits decrease, they eliminate programs that are not profitable. Many physicians will not accept medicare or any insurance plan preferring to develop their own primary care direct payment business model. I asked him how he managed to avoid burnout. He talked about remembering his purpose in entering medicine — that the profession is a calling, not just the daily tasks involved — by re-reading thank you cards from patients, residents, and students. He talked about taking time to chat with the staff in the clinics where he works, getting to know the schedulers by name, for example, to create connection in a world where he sees fewer and fewer opportunities to connect than in the past. Then he mentioned his “boss,” the chair of the department, a practicing internist herself. Although I haven’t heard physicians point to the importance of leadership, research corroborates this faculty member’s observation. The Mayo Clinic surveys its employees annually about the degree to which certain leadership behaviors are displayed by their immediate supervisors: appreciation, interest in the ideas and careers of those they supervise, transparent communication, and inclusiveness. Their data show significantly lower levels of burnout among physicians whose supervisors achieve higher scores on these behaviors. Examples in other industries abound of the impact of leaders’ focusing on the well-being of their workforce. Paul O’Neill, former CEO of the manufacturing giant, Alcoa, steered that company to record high profits within a year by making worker safety the number one priority at every level of the organization. New United Motor Manufacturing, Inc., or NUMMI, a joint venture between General Motors and Toyota, became one of the most productive automobile plants in the world in the 1980s, with consistently high-quality scores. How? In large part by respecting the inherent knowledge of its frontline employees and making a commitment to their welfare. Organizational leaders may be hesitant to attempt to address the systemic issues that drive physician burnout, thinking that all interventions are complex and costly. Adopting new leadership behaviors is neither — and has proven beneficial effects on physicians’ well-being. Burnout directly threatens the health of the clinical workforce, the health care organization as a whole, and the ultimate client, the patient. Isn’t it time for leaders of hospitals and medical practices to take a self-assessment and consider the role they play in perpetuating an unsustainable workplace — and their power to build something better? Isn’t it time for leaders to take the longer view and prioritize meaningful systemic improvement — guided by the input of frontline clinicians — to really address this problem? Given the increasing prevalence of burnout among physicians and the evidence of its wide-ranging negative effects, the time is most definitely now. Pain management is a challenge at times. 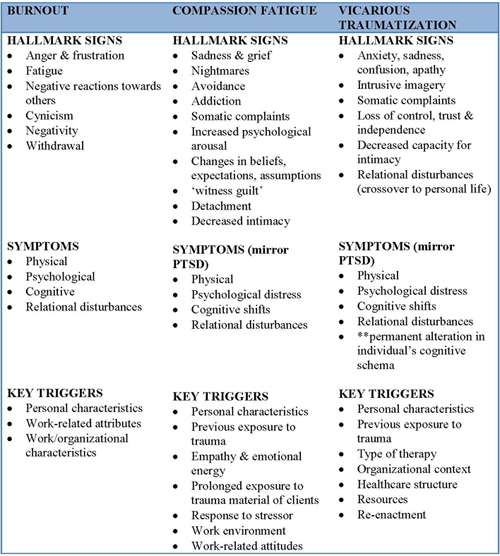 Despite many advances in pharmacology there are pain syndromes that are difficult to manage. For one, pain is subjective, although at extremes it can be measured by changes in vital signs, heart rate, respiratory rate and involuntary reflexes. In some cases VR has relieved pain when other medications have not. 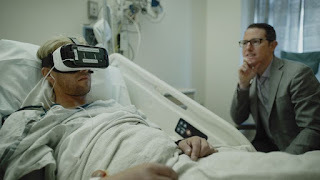 Brennan M. Spiegel, MD and his research team at the Cedars-Sinai Medical Center in Los Angeles have already treated more than 300 patients with virtual reality (VR) therapy in a pilot project. These individuals with chronic pain were able to immerse into a VR experience for 20 minutes, and forget about their pain through travelling to Iceland or swimming in the ocean. Spiegel: “Our experience has shown that when VR works, it really works. But we’ve also found that not everyone is willing yet to try it out, particularly older patients. In our first study, published in JMIR Mental Health, we found that the average age of patients willing to try VR was 49.7 years old, whereas those unwilling to try it were 60.2 years old on average. This is consistent with the known “digital divide” between generations with regard to comfort and familiarity using digital technologies”. Do you think VR has any side effects? Or that people could become addicted to it? Spiegel: “We don’t have much information on this yet, at least as it pertains to therapeutic VR. Compared to something like opioids, which have caused a worldwide dependency epidemic of catastrophic proportions, a non-pharmacological pain remedy like VR is highly desirable and not meaningfully addictive in the same manner. But we should not brush aside concerns that VR has potential to be addictive. That said, in our experience to date, we have not seen patients getting obsessed with VR”. I read that VR reduced pain was 24 per cent in hospitalized patients. That's a very promising result! What are your personal experiences in this regard? Spiegel: “After practicing medicine for 19 years, I cannot think of any other treatment I’ve used (short of life-saving maneuvers) with a greater immediate impact on patients than VR. In one case, I treated a patient with 8 out of 10 abdominal pain of unclear origin. Narcotics didn’t work and she was receiving an intravenous drip with ketamine – a powerful analgesic that forces patients into a trance-like state. That didn’t work well, either. But within 10 minutes of using VR she reported “zero pain.” She literally said: “I’m ready to go home, as long as I can bring this thing with me.” She was discharged the next day after nearly a week in the hospital”. In your view, could VR be included soon in everyday hospital practice? Spiegel: “Using VR in clinical practice turns a lot of heads. 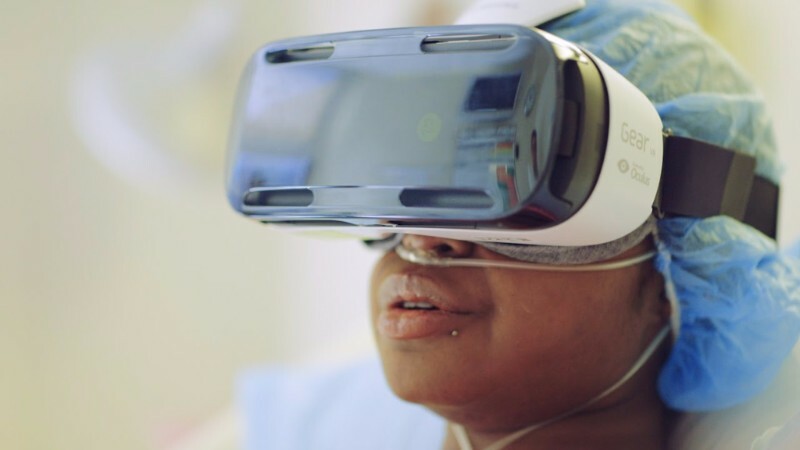 Wherever we travel in the hospital with VR goggles, we receive questions from doctors, nurses, and other hospital staff intrigued by the concept of using VR for patient care. It’s hard to leave a unit without allowing curious doctors and nurses to try the headsets. Time and evidence will tell if this excitement should be sustained. We think it will”. I believe VR will be effective at home as well. This may be a step in the right direction. 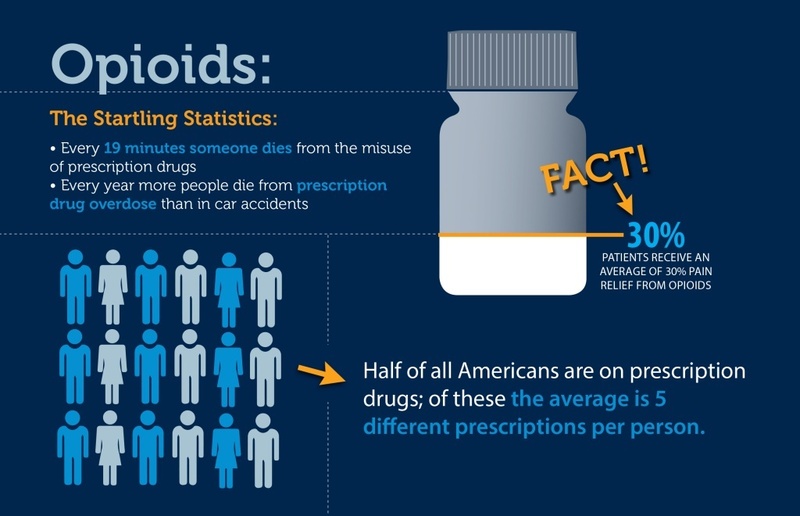 The reduction of 13% in the use of opioids in Cigna's population is significant, but this is still in the short-term. 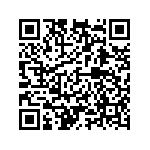 Alternative medication therapy as well as physical therapy, electrostimulation, meditation are all available. Usually a patient will select one and if they do not have relief, physicians will prescribe other therapeutic methods. The pathway for a patient can be circuitous and stressful. Many are referred to pain specialists, placing a further burden on them. 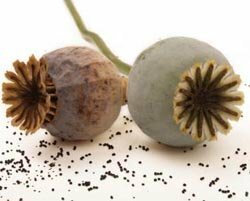 The use of the other medications are not without serious complications, somnolence, decreased cognition, and mood disorders. 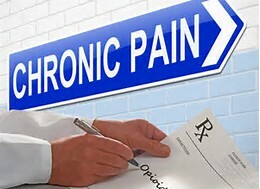 Chronic pain exacerbates other mental disorders, increasing anxiety, irritability, sleep disorder, and isolation. 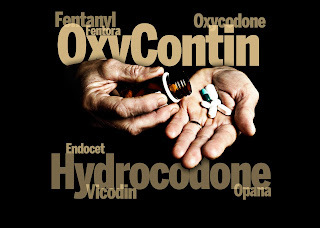 This pilot program, should it continue to demonstrate significant reductions could alter the pattern of opiod prescriptions. 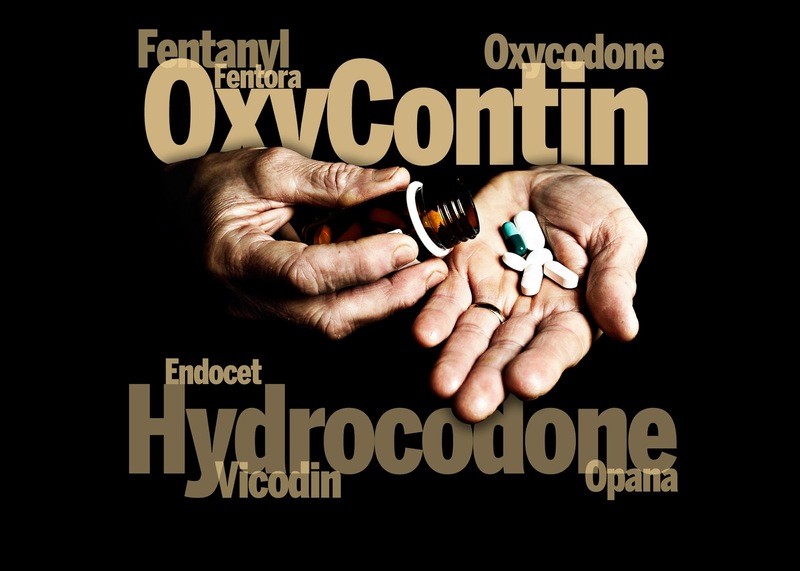 Opiod dependence is a serious event for a patient and their families with multiple mental changes, and physical complication. Cigna authorization personnel will be busy. Your loved one or friend is lying there in the ICU hooked up to tubes, and ventilators. They may or many not be able to respond or in a "locked in" state. 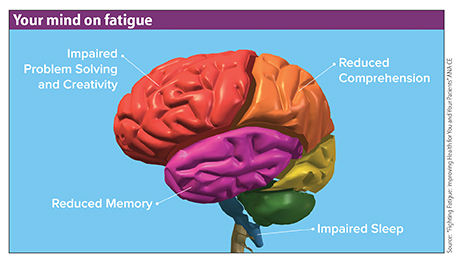 Neurologists and PCPs are now more aware of this. Families and friends are often encouraged to treat and speak to 'comatose patients' as if they are fully awake and aware of their environment. So while you are visiting you do just that, talking to them and encouraging them to 'wake up". However, what about during non visiting hours or night-time when staff is not available. coma and long months of hospitalisation. investors from Asia and Europe and is about to enter the market expansion phase. You and your provider have a big investment in your health. Much of your tax dollars go to scholarships, building state owned medical schools, funding regulatory agencies such as the FDA, HHS, Public Health Services. Likewise your physician(s), many of whom go into great debt even before earning their first dollar. Their credit rating is now impaired by this investment. Some cannot get a mortgage, and not because of flagrant spending. All the banks and loans institutions are concerned with these days is their ability to make the loan payments. The number of physicians (and other students) who default on their school loans is staggering, and those loans cannot be discharged in a bankruptcy, the same as with tax debt. It's no longer when a city or town decides to fund a young person's medical training. The average amount of time it takes someone to become a physician is approximately 11 years, and for those pursuing further specialization, one can easily add a couple of years to that. The time certainly adds up by investing years in college, medical school, residency, and fellowship. By the time I will be an independently practicing cardiologist, I would have invested about 16 years into my training. That’s almost half of my lifetime. Every physician has their own reason for pursuing medicine; however, the majority of us go through such an arduous and invigorating training process because ultimately we want to positively impact peoples’ lives. Our day typically starts at the crack of dawn and at times ends after sunset. There have been days where I have been disconnected from the world, unaware of the outside conditions, and missed important life events and holidays because my priority has been my patients. During my internal medicine training, I can vividly remember countless times where my first meal of the day was when I had returned home from work. I can also recall numerous days where I remained on my feet, worked around the clock, continuously advocated for my patients, and placed their needs above my own. I have also witnessed these attributes in my peers and mentors, who work equally hard to ensure the best for their patients. Whether it is staying after a long day of work to transmit medication refills to the pharmacy, accounting for all the charting and paperwork, remaining over time to talk to the patient’s loved ones, or coming in the middle of the night to perform emergent procedures, the unrelenting nature of a physician is refreshing, breath-taking, and inspiring. The path and journey is not a tranquil one. The road is paved with countless sacrifices, tremendous hard work, unwavering commitment, and several failures but also with triumphs. 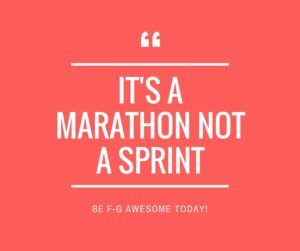 It takes a special individual to embark and complete this journey: someone who is willing to sacrifice their time, youth, money, relationships, and their health. It often is a cold and heartless process. In the end, we are the ones called upon to impact someone’s life directly. We earn the responsibility of upholding excellent care towards those we encounter every single time. Thus, the next time you visit your physician notice the compassion in their voice, the sacrifices in exchange for their medical wisdom, and exemplification of hard work in their wrinkles. And know that a lot went into the making. This article is dedicated to all my peers, mentors, and co-physicians who unceasingly work hard to stand on the front line of health, ensuring well-being for every person they encounter, who at times place their patients’ needs above their very own. 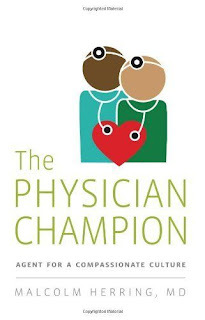 Here’s to the everyday champion: your physician.